Gold traders extended their bullish streak as analysts from Bank of America Corp. to Deutsche Bank AG forecast record prices by next year after central banks pledged more action to bolster economic growth. The Federal Reserve announced a third round of debt-buying Sept. 13 and the Bank of Japan said two days ago it will add 10 trillion yen ($128 billion) to a fund that buys assets. The European Central Bank announced an unlimited bond-purchase program Sept. 6 and China approved a $158 billion subways-to- roads construction plan. Gold rose 70 percent as the Fed bought $2.3 trillion of debt in two rounds of quantitative easing from December 2008 through June 2011. Gold rose 13 percent to $1,765.35 an ounce in London this year, reaching a six-month high on Sept. 19 and extending 11 consecutive annual gains. Gold will climb to $2,000 by the second quarter and will reach $2,400 by the end of 2014 if the Fed’s latest easing lasts until then, Bank of America said in a Sept. 18 report. Prices will exceed $2,000 in the first half of next year, Deutsche Bank wrote that day. Morgan Stanley expects gold to average $1,816 next year and Standard Chartered predicts a second-quarter average of $1,900. Both would be the highest ever. 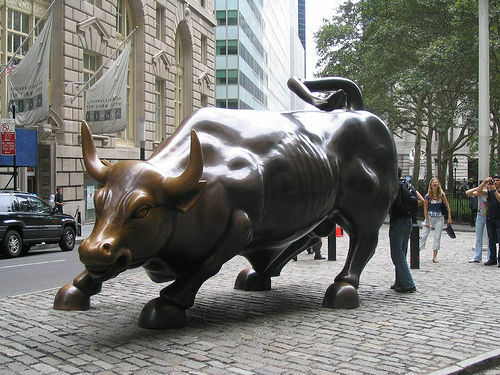 Posted by Coin Trader Inc.
Morgan Stanley was already bullish on gold for the remaining portion of 2012, but the advent of QE3 by the Federal Reserve pushed the firm even more fully into the bullish camp on gold. “The size and strength of the recent upside move in gold is reflective of decisively changed perceptions of Fed policy going forward, in our view,” Morgan Stanley says. “Effectively, QE3 for as long as it takes and close to zero interest rates for another three years is, we contend, markedly different from Operation Twist and only two more years of ultra low rates. The Fed also made it clear that it would pursue easy monetary policy ‘for a considerable time’ even after the economy strengthened.” The news should mean a weaker U.S. dollar. Still other factors that are supportive for gold include the European Central Bank’s bond-buying program and limited gold sales by European central banks, Morgan Stanley adds. Runaway government debts have triggered uncontrolled money printing that in turn will lead to inflation that will decimate portfolios, according to the latest forecast from “Dr. 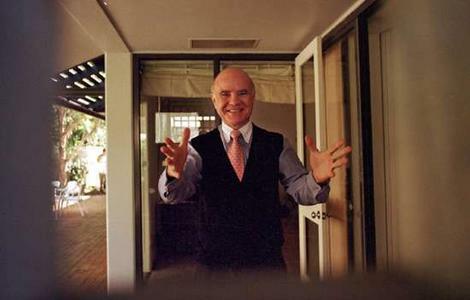 Doom” Marc Faber. Investors, particularly those in the “well-to-do” category, could lose about half their total wealth in the next few years as the consequences pile up from global government debt problems, Faber, the author of the Gloom Boom & Doom Report, said on CNBC. Efforts to stem the debt problems have seen the Federal Reserve expand its balance sheet to nearly $3 trillion and other central banks implement aggressive liquidity programs as well, which Faber sees producing devastating inflation as well as other consequences. Noted for his pessimistic forecasts and gold advocacy, Faber nonetheless lately has been telling investors that stocks are a good choice as central bank policies pump up asset prices. He reiterated both his commitment to stocks and gold, but said investors also can find value in other hard assets, particularly in distressed properties in the U.S. South. “InGeorgia, inArizona, inFloridatheir property values will not collapse much more and will stabilize, so I think to own some land and some property, not necessarily in the financial centers but in the secondary cities, these are desirable investments relatively speaking,” Faber said. As for stocks, Faber said Fed Chairman Ben Bernanke’s policies will be friendly toward equity investors, at least for now. The stock market is in the middle of an aggressive bull run that has seen the major indexes rise more than 25 percent from their October lows. In the previous article in this series I pointed out that even after recent dramatic sell-offs gold prices are still higher than one would expect if one saw them as being driven only by money creation. And this state of affairs has been sustained for a period of years, which suggests that it is not driven by a panic reaction, because panics by definition tend to last for a short period of time. Having noticed that although gold did fall to the top end of my expected value range using money metrics, I wondered why it did not fall at least to the middle range. Trying to solve the puzzle, I reasoned that perhaps gold is not just a function of domestic money creation, but of international money creation as well. In other words, gold prices might go up in dollar terms even more than the excess creation of dollars alone would dictate. If other countries also debased their paper currencies, the citizens of those countries would similarly demand gold as a hedge against inflation. And since much of the world seemed to be at least partially following the U.S.’s lead in weakening their currencies, perhaps global gold demand was driving gold even higher than dollar devaluation would suggest. This is an interesting theory, but there are some problems with this view. First, the view that global inflation drives domestic gold prices has an obvious theoretical problem. Yes, global inflation would lead to global growth in demand for gold, but it would also lead to growth in global supply. Gold is a commodity with both a demand curve and a supply curve, and if it has both curves it has an equilibrium price and the equilibrium price for gold and dollars is a function of the comparative demand and supply of each of those. If among the three billion new capitalists around the world there is a certain proportion of gold buyers and consumers, then among those three billion capitalists around the world there is also a certain proportion of gold producers and sellers. As gold goes up in price, the incentives to discover it increase proportionately. That’s how the global economy kept its monetary equilibrium for millennia before the emergence of the global fiat money system. Second, the biggest problem with the global inflation as driver of domestic gold price theory is that it doesn’t work. If one had used global inflation to try to predict dollar gold prices, or used dollar gold prices to try to predict dollar inflation, one would have had very little success. Global inflation does not seem even to explain the times in which gold prices detach themselves from currency debasement factors. It seems that gold investors are not just concerned about how much money the Fed has created, nor are they principally concerned about how much money the Fed-wannabes around the world have created; they are worried about something else, and they might have good reason to be. What they are worried about, and what seems to be driving current gold prices, is that public debt levels have risen to the point where the debt will be paid off in highly debased currency. In other words, they’re afraid of what is called ‘debt monetization’. Debts are monetized when governments decide to use their monetary authorities (in theU.S.context, that is the Fed) to create new money which is then lent to the government. This tends to happen when the government has borrowed up to its capacity and decides to continue borrowing above its credit capacity. When that happens, private lenders are no longer willing to take the chance of lending to an over-indebted government. At that point, governments often attempt to verbally intimidate private lenders, especially banks which are subject to very high levels of government oversight. Sellers of bonds are verbally assaulted as vigilantes and speculators, and in more extreme cases attacked for their ethnicity or religion. Jews have been frequent targets of this type of attack. In some cases regulators require financial institutions to lend to the government anyway, often for reasons other than the stated ones. For example, recent changes in regulation associated with Dodd-Frank and the Basel Accords purport to act in the interest of financial stability by requiring banks to hold larger proportions of ‘Tier 1 capital’, such as Treasury Bonds, for the purpose of risk reduction. But the problem is that this public Tier 1 capital is in many cases riskier than, for example, the corporate bonds which it replaces. That’s one reason why the European sovereign debt crisis has been so devastating to the private banking system, because earlier versions of risk reduction forced extremely risky public bonds down the throats of the private system. What’s even more maddening is that after suffering through all of that, we still have to sit through political sermonizing about market failure in the banking system. So, once private lenders have been brow-beaten, and then eventually law-beaten into buying as much public debt as they can possible stand, the rapacious public spending beast’s hunger remains un-slaked. That’s where monetization comes into play. Gigantic piles of money are simply created and then shoveled into the mouth of the Leviathan. Spot gold hit a session high just short of $1,680 per ounce on Monday, fueled by a stronger euro, after Federal Reserve Chairman Ben Bernanke said the U.S. labor market was “far from normal,” despite recent improvement. Spot gold [XAU= 1686.0601 23.92 (+1.44%) ]rose 1 percent to $1,679.39, with some hoping the Bernanke comments might be a hint at further quantitative easing. U.S.gold [GCCV1 1683.90 21.50 (+1.29%) ]for April delivery was up 0.3 percent at $1,667.20. Bullion prices posted the biggest one-day rise so far this month on Friday, reflecting higher oil prices and a sharp fall in the dollar as a result of disappointing U.S. housing market data. Money managers in U.S. gold futures and options cut their bullish bets for a third straight week to the weakest level in two months as bullion prices tumbled after a strong run of U.S. economic data triggered fund selling. Physical demand fromIndia, the world’s largest bullion buyer, remains a concern with a jewelers’ strike entering its second week after the government announced a hike in import duty on bullion. The U.S. dollar index [.DXY 79.07 -0.25 (-0.32%) ] edged up from a two-week low hit on Friday, dampening sentiment on dollar-priced commodities by making them more expensive for buyers holding other currencies. “There’s a good chance we’ll see a relapse in U.S. data since the economy is in a fragile recovery, which will lead to speculation on more quantitative easing, and that is positive for gold,” said Hou Xinqiang, an analyst at Jinrui Futures in the southern Chinese city of Shenzhen. Hou said oil prices are unlikely to slide easily from current high levels given the sticky situation in Iran, another supportive factor for gold. Investors will closely watch changes in holdings of various physically backed exchange-traded funds in the last week of the quarter. The SPDR Gold Trust[GLD 163.75 2.2171 (+1.37%) ], the world’s biggest gold ETF, said its holdings fell 0.8 percent last week, the biggest weekly decline since late December. This week, investors will also monitor key economic data fromGermany, bond auctions inItaly, and a meeting of euro zone finance ministers, during which the size of a bailout firewall is to be discussed. 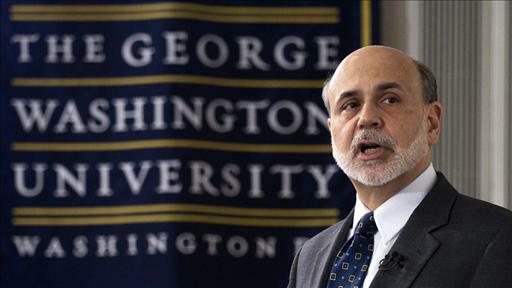 Fed Chairman Ben Bernanke delivered his first of four lectures to students at George Washington University trashing the Gold Standard. Fed Chair Ben Bernanke is taking some time out of his busy schedule to go back to the class room and mold young impressionable minds. After Rep. Ron Paul ambushed him in committee with the value of a Gold Standard, Bernanke seems to be hitting back with economic sunshine & no hint of QE3. Yesterday he took the direct approach, while teaching a class at George Washington University attacking the Gold Standard as a waste of resources. Gold retracted slightly in light of this but is moving back forward today as it steadies above $1650. Mr. Bernanke can take his best shot at gold but until the global debt issues are resolved and global demand slows, the fundamentals of the yellow metal will continue to drive the price through the end of the decade. The problem with a gold standard is there just isn’t enough of the yellow stuff. Paraphrasing economist Milton Friedman, Bernanke said it takes a lot of effort and work to go to South Africa, or somewhere else in the world, dig up a bunch of gold, then just put it back into another hole – in this case the basement of the New York Fed. Later, during a Q&A period after his lecture, Bernanke acknowledged the main arguments for a gold standard, before dismissing them. 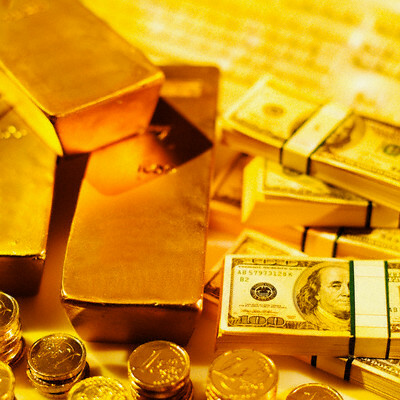 Proponents, like Rep. Ron Paul (R-Texas), argue that a gold standard maintains the value of the dollar, under the premise that paper money is inherently inflationary. Bernanke dismissed this, arguing that while the argument may hold for long-run price stability it is not valid on a year-to-year basis. A gold standard, Bernanke said, also stops the central bank from being able to respond to booms and busts through monetary policy. Such a standard is not practical though, Bernanke continued, as there is not enough gold in the world to achieve a global gold standard without tremendous cost (though that would undoubtedly be a boon for miners like Barrick Gold or Goldcorp). Lastly, Bernanke acknowledged the fallibility of central banks. A gold standard only works if markets are convinced that maintaining that standard is the sole priority. Any hint of wavering and the currency becomes subject to speculative attacks. Gold prices were down more than $21 to $1,645 an ounce Tuesday. The U.S. dollar index, a measure of the greenback against a basket of foreign currencies, was up 0.2% Tuesday afternoon to 79.59.